If money is tight at the moment, you may be dreading the winter months that are quickly approaching. If you don’t have the luxury of double-glazed windows or a powerful heating system, you may assume that you are going to need to spend the next few months wrapped in your dressing gown and several woolly blankets. This isn’t the case. In fact, there are a number of ways you can make your home warmer without spending a lot of money. Buy a rug if you have a wooden floor – There is nothing worse than walking on hard, cold surfaces during the winter, like wood or tile. To make the floor a lot warmer, you should consider investing in a rug. Not only do rugs add warmth, but they will add style to your home too. There are many plush rugs to choose from, and if you do a bit of digging online you are bound to find something that fits within your budget. Hang heavy drapery – If you currently have light curtains or drapes, you should switch them for a thicker material during the winter months. This will make a massive difference, especially if you have older windowpanes, as it is likely that a lot of heat loss occurs here. If you are unsure regarding what types of curtains are right for your home, take a look at this blog. You will find plenty of information on made to measure curtains, which will fit your home perfectly. And, don’t forget to close all of your curtains every evening to keep your home warm! Seal drafty doors and windows – You may not be able to afford double or triple glazing, but you can make an effort to seal doors and windows. Cold air will rush through leaks in doors and windows with ease, creating an awful chill in the room in question. Of course, the best solution is to purchase new doors or windows if your current ones have cracks in them. However, there is a simple and quick fix too, and this involves using a poly weather-strip or placing a heavy towel underneath doors to prevent heat loss. Reverse your ceiling fans – If you have ceiling fans, you should try reversing the direction of them during the winter. By doing this, you can keep the heat lower, as the fan blades are going to push the hot air downwards, rather than drawing the air upwards as fans usually do. This is particularly important if you have any rooms in your home with high ceilings. If you are unsure as to whether your fan is spinning in reverse, all you need to do is look up and make sure that the blades are moving in a clockwise direction. Focus on the bedroom – Your bedroom is the part of your home that should get the most attention when trying to create a warm and cosy feel during the winter. After all, if you have an icy cold bedroom, you’re going to really struggle throughout the colder months, even if the rest of your home is relatively warm. So, where should you begin? Firstly, make sure that your bedding is appropriate for the temperature by having extra blankets, down-filled comforters, and flannel sheets. There are also a number of heating products on the market that aren’t expensive, such as heated mattress pads. If you find that your bed is too cold to get out of in the mornings, why not add a cosy rug so that you have something warm to sink your feet into? Use your fireplace properly – If you are lucky enough to have a fireplace, make sure you use it correctly. 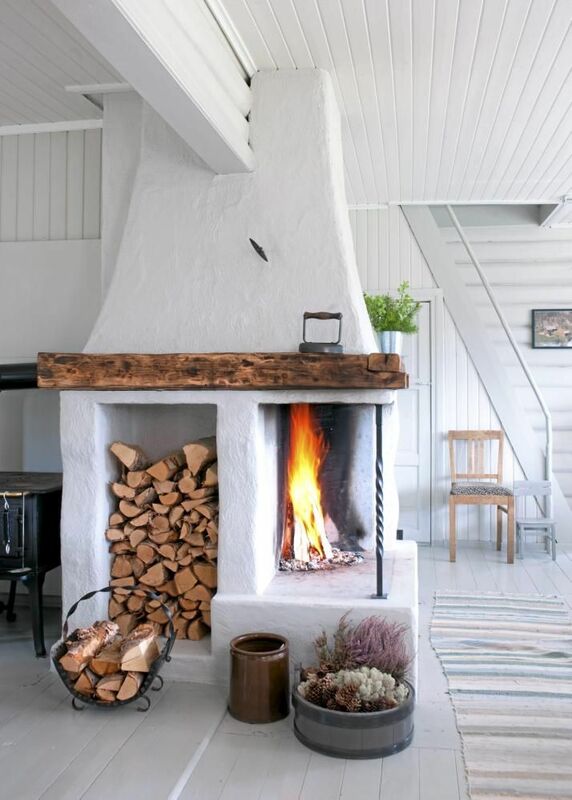 After all, nothing says cosy and warm like snuggling up next to a roaring fire. However, your room can feel draughty if you have a wood-burning fireplace, as this draws air from the interior of your home. To stop this from happening, make sure close off any surrounding doors. It is also a good idea to get a professional chimney sweeper in to clean the inside of your fireplace before the winter. They can also inspect the chimney’s exterior for any damage or cracks. It is important to do this once a year. It may mean a small expense, but it will save you a lot of money down the line. So there you have it: some cheap yet effective suggestions to ensure that your home is warm and comfortable throughout the winter months. Just because you don’t have the budget for a luxury heating system, does not mean that you have to freeze from November through to the end of February!